With Capcom seemingly uninterested in making Mega Man great again, it’s up to fans to show the Japanese company the way forward. Enter Mega Man 2.5D, a fan-made Mega Man game eight years in the making. 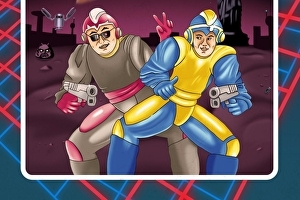 What’s cool about Mega Man 2.5D is that it includes a co-op mode, which sees two players team up to fight Dr. Wily, and the camera perspective can be changed – a mechanic used in the single-player mode.